Along the northwest shore of Lake Dorr, Lake Dorr Recreation Area is set under the deep shade of an oak hammock. Offering tent and RV camping, Lake Dorr also has a boat ramp and picnic area overlooking the lake. Fees: $2 per vehicle day use fee. $12 per night for camping. $2 boat launch fee. 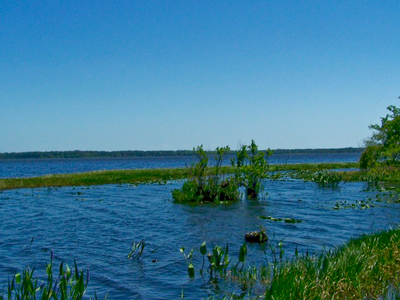 Permit Info: Anglers must have a valid Florida Freshwater Fishing License. General Notes: Two canoes are available to campers. Closest Towns: Altoona lies just a few miles south along SR 19, with groceries, gasoline, and hardware. Restrictions: Anglers must follow the regulations of the Florida Fish & Wildlife Conservation Commission for freshwater fishing. Directions: Drive north along SR 19 from Altoona and watch for the sign on the right, across from the Pittman Visitor Center. Here's the our members favorite photos of "Recreational Areas in Lake Helen". Upload your photo of Lake Dorr Recreation Area!